The name of the system is inspired by the Spanish word «juventud» which means youth. Its composition allows us to perform a perforation in the skin with the help of the micro-needles, which varies in length from 0,5 to 1,5 mm. Their use depends on the thickness of the area to be treated, as well as the desired effect. The insertion of the needles, after several passages, causes stimulation of fibroblasts in the dermis, allowing them to produce new collagen barrier and other cutaneous support structures. That technique restores flexibility to the skin. The collagen production in the skin begins to weaken around the age of 30, decreasing at a rate of 1% per year, on average. This degenerative process accelerates during our forties.As the collagen continues to decline with age, wrinkles start appearing . 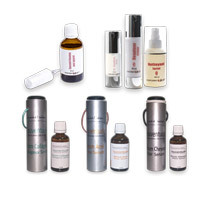 Nearly 99% of existing active ingredients in cosmetics stay on the skin surface. This is due to the epidermal barrier, which is composed of tiny scales cemented together by lipids, thereby forming a wall. This barrier prevents the active ingredients in the skin care products from acting effectively. 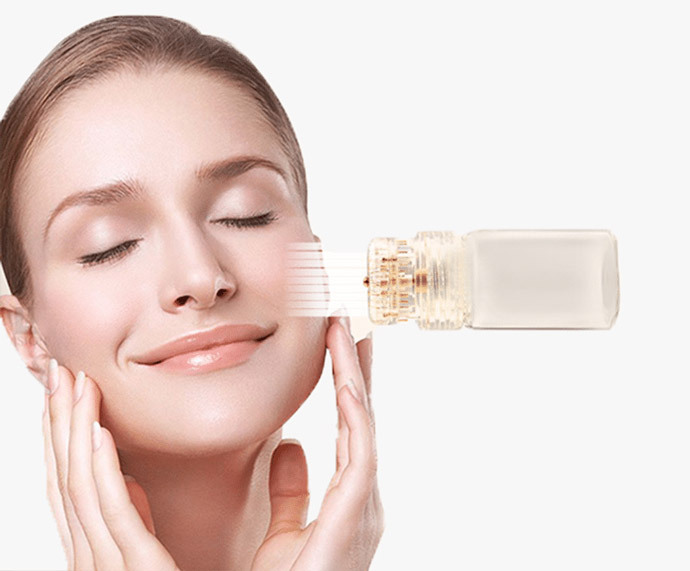 With the Jouventude system, the penetration of serum by micro-needles creates a multitude of microscopic channels which stimulate the synthesis of collagen and elastin fibers. The Transneedle© for a follow-up care at home ! 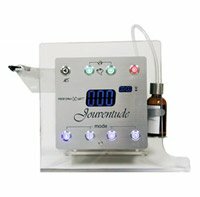 Micro-needles in resale sizes with an integrated serum distribution system. Available at our distributors : South shore, Montreal, Quebec, North shore.